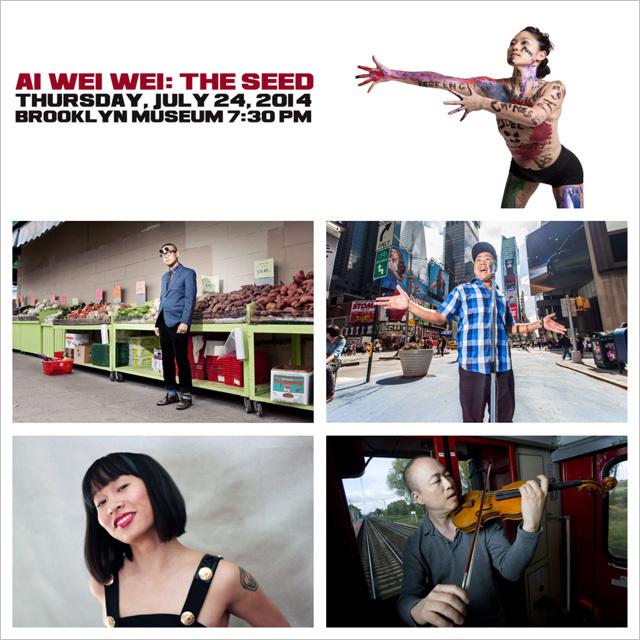 If you're in New York City, you're invited to a new multimedia performance next week in Brooklyn... Ai Wei Wei: The Seed is a live music, video, dance and spoken word performance mash-up about the early roots of political artist Ai Wei Wei and his emergence as one of the world's foremost artists and thinkers. AI WEI WEI: THE SEED is a live music, video, dance and spoken word performance mash-up about the early roots of political artist Ai Weiwei and his emergence as one of the world's foremost artists and thinkers. The show tracks the artist's life from his childhood in exile with his political poet father Ai Qing to his formative decade in NYC (1981-1993) as a street artist in Williamsburg and the East Village, where he also befriended poet Allen Ginsberg.